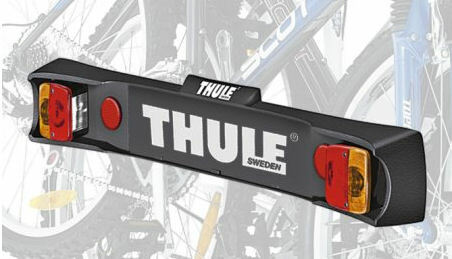 The Thule Race way can be folded down flat when not in use for convenient storage in your garage or for keeping in the boot of your car, though the carrier can be securely locked to your car so you don’t have to worry about taking it off for security when you arrive at your riding spot. 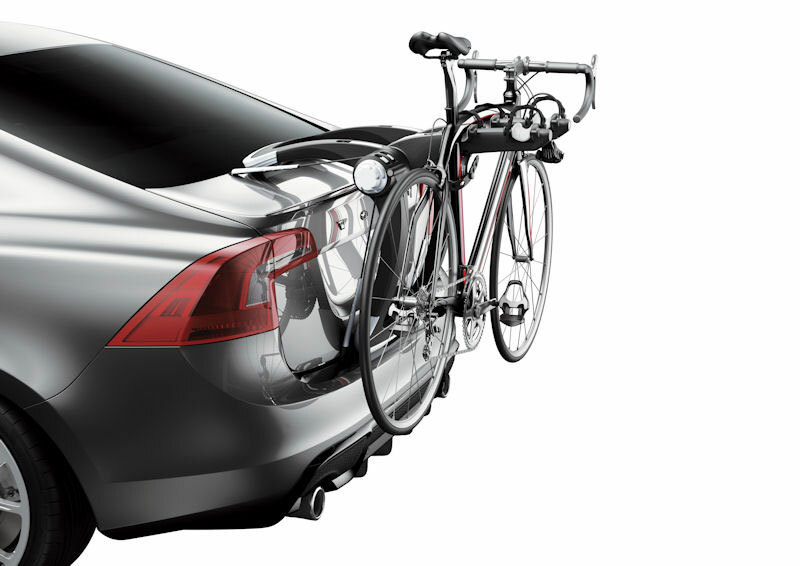 Moulded rubber pads provide a firm hold to your car and prevent any damage through vibrations when driving along with No-sway cages prevent bike-to-bike and bike-to-vehicle contact. 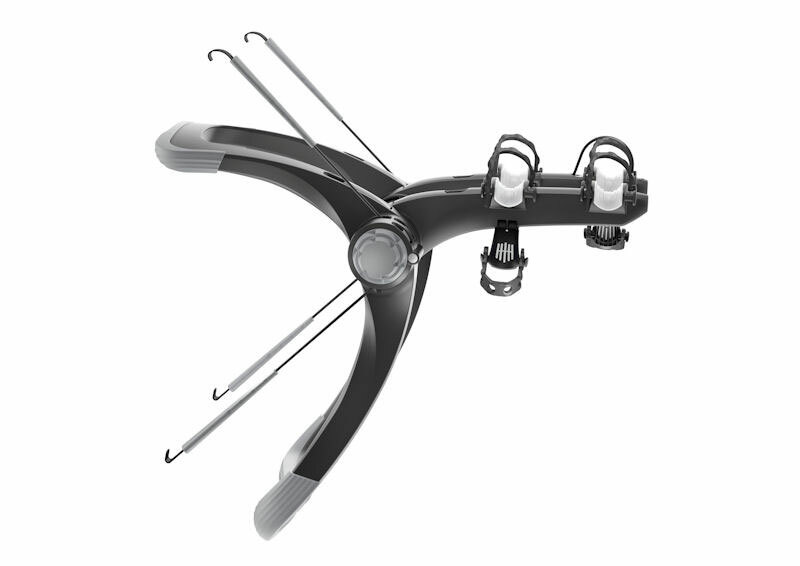 The Thule Raceway is available in two models, the 991 which can carry 2 bikes and the 992 which can carry 3 bikes. 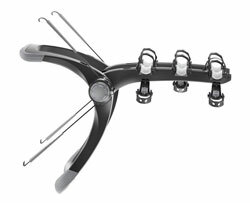 Note: This product does not have universal fit. 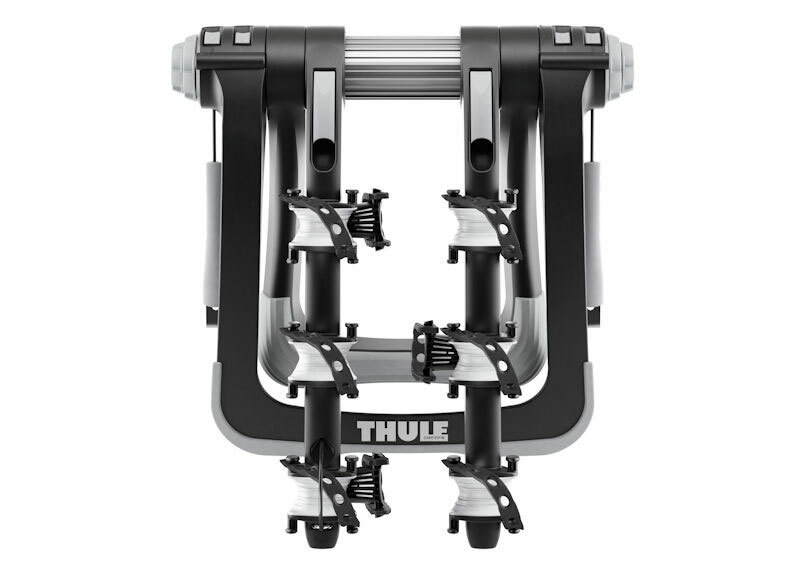 Please use the Thule Buyer's Guide for information related to specific car models. Light Board and registration plate mount with 7-pin connector. Straps and screws for mounting included. 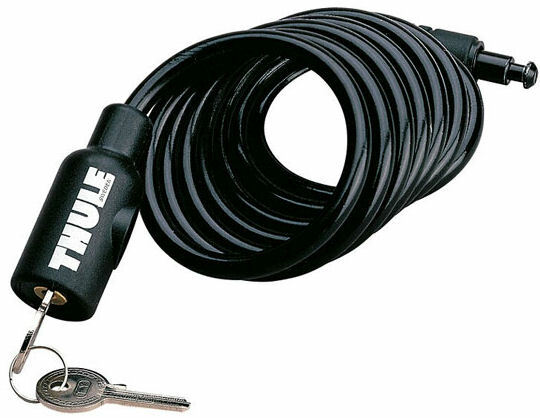 Plastic-coated 6 mm steel cable lock to secure your bikes. Length 180 cm. 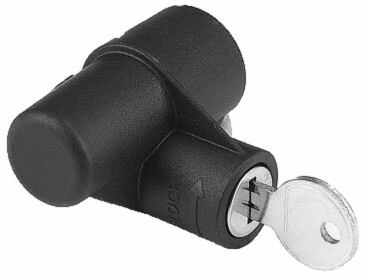 The HangOn 972 & 9708 racks can be locked to the tow ball using this accessory.